This home office is soooo pretty. 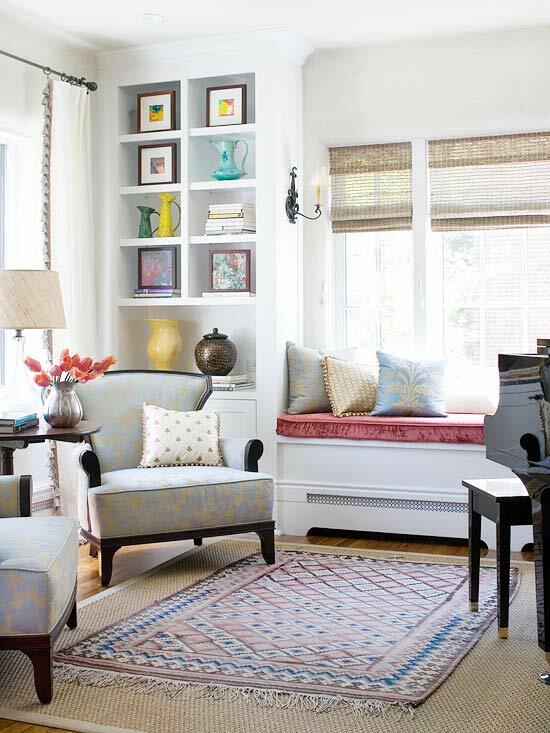 I love the muted colors, and the soft pink in the rug, yellow in the curtains, and green accents makes such a happy trio. Very bright colors are kept to a minimum in this rooms, which keep the rest of the colors from being too busy, but still cheerful. 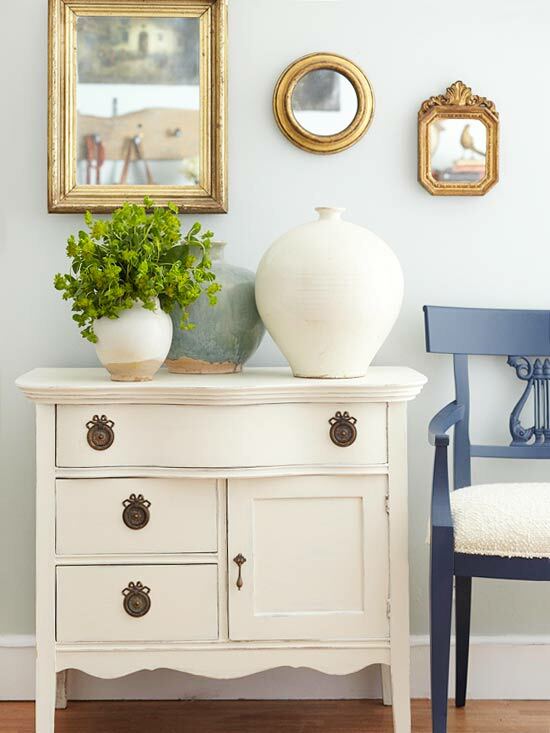 Another great mix of muted colors. The 4 images below are all from the same multi-functioning living room, that also serves as a foyer and home office. 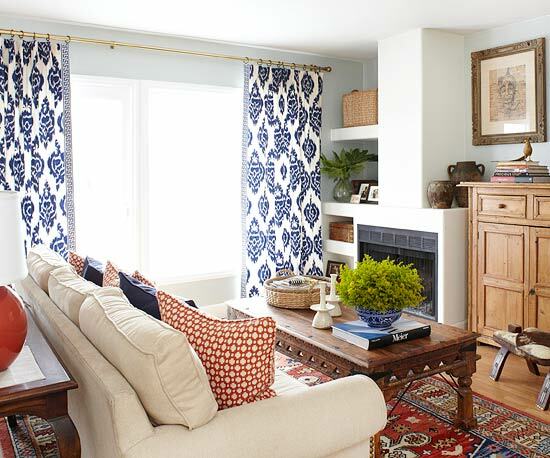 Effective layering makes this space look more expensive than it was. 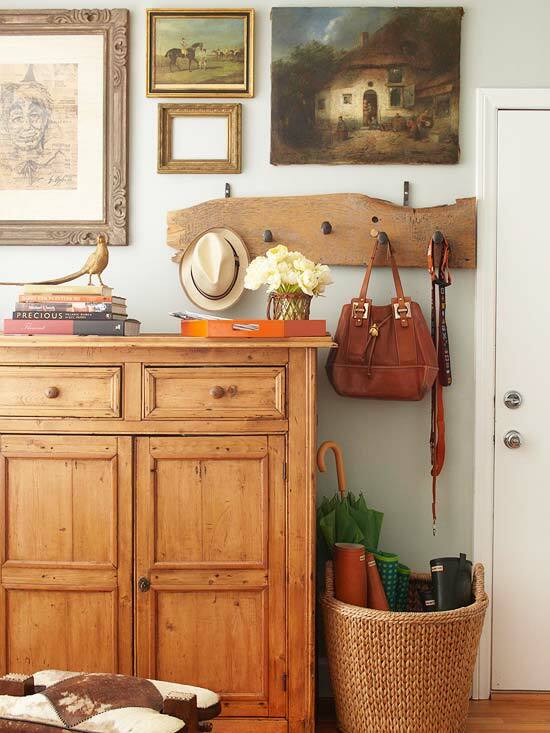 Wood in honey colors keep the space casual, and the art adds a whimsical touch. 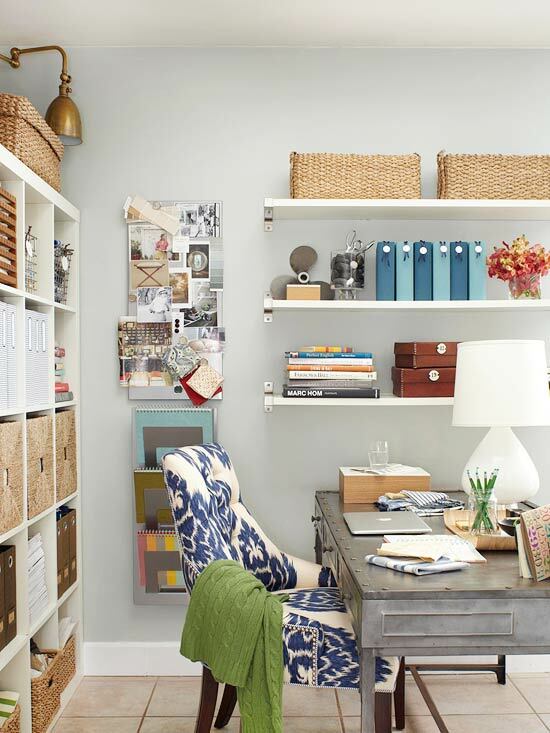 Everything has a pretty place to be stowed in the office nook, and an organized space is a happy space! To read more and see all the pics from this room, click here.